March 16, 2014 witnessed official promulgation of the Planning for National New Urbanization (2014-2020), which is based on the report of the 18th National Congress of the Communist Party of China, the CPC Central Committee’s Decision on Several Major Issues Concerning In-depth Comprehensive Reforms, the spirit of the CPC Central Committee’s Work Meeting, the Planning Outline for the "12th Five-year Plan" of the Peoples Republic of China for National Economic and Social Development, and the Planning for Major Functional Zones of China, in line with the new requirements for new urbanization with Chinese characteristics and comprehensively improving the quality of urbanization. The planning proposes accelerating formations of city clusters like the Chengdu-Chongqing, the Central Plain, Middle Reaches of Yangtze River, the Harbin-Changchun, etc., so that they will engage in balanced development of land space and become important growth poles of regional economic development. It also further clarified the strategic significance of the Harbin-Changchun city cluster in the "two horizontal and three vertical" national urbanization pattern in future. 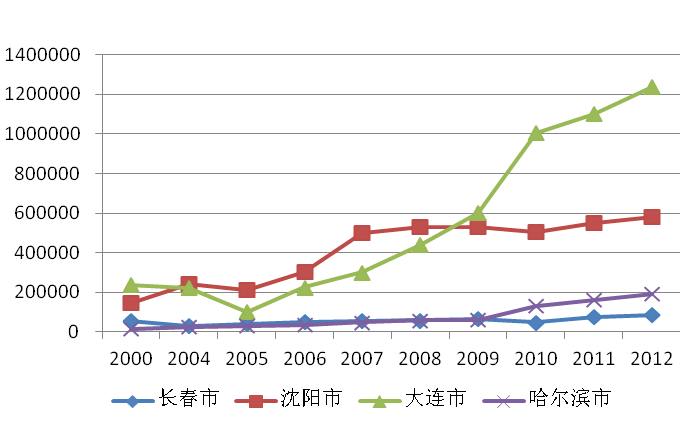 In view of the relative lack of domestic and foreign research results for Harbin-Changchun city cluster, the planning focused on the research and analysis of status in Northeast China region through detailed and effective data collections, and established a Northeast China GIS data platform, which has inputs of data from a total of 162 statistical yearbooks, 144 statistical bulletins and 182 government work reports. It has basically found out the true development of the Harbin-Changchun city cluster and provided technical support to the state in a new round of revitalization of Northeast China and to the DRC for preparing the Harbin-Changchun city cluster development planning. 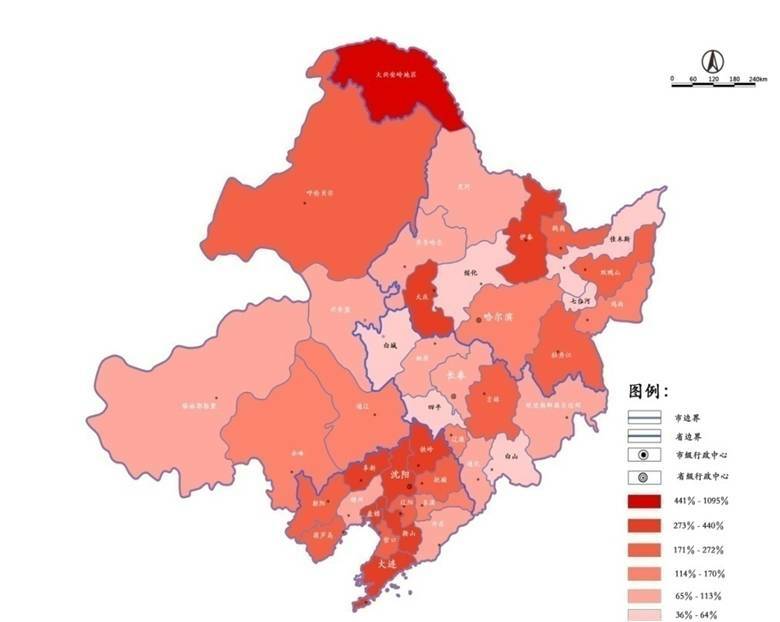 Question1: How long will the demographic dividend last in Northeast China? 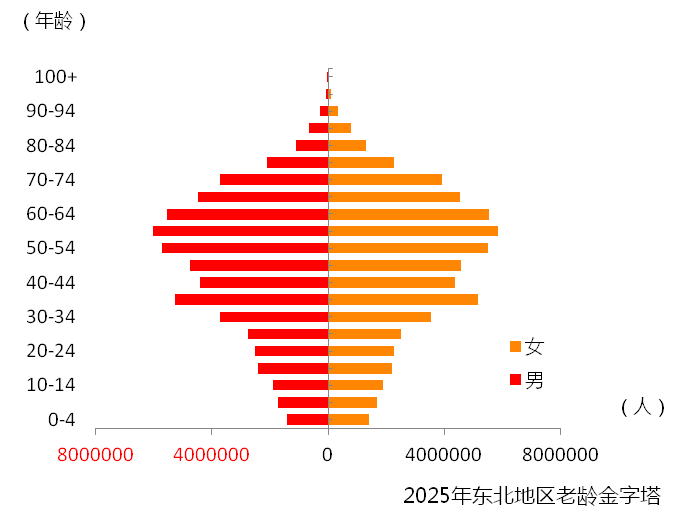 According to the forecasting, Northeast China’s dependency ratio will exceed 50% and the demographic dividend (labor advantage) will disappear in about 2050. 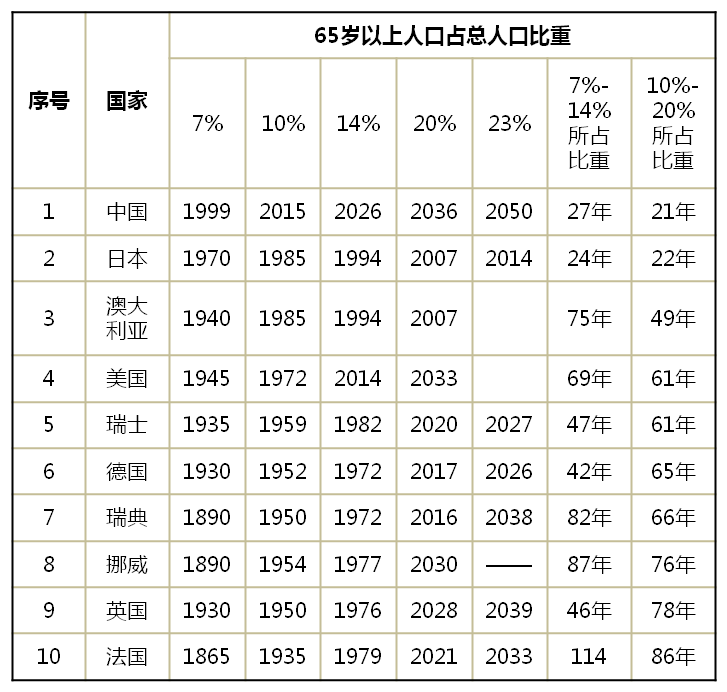 It will firstly happen in Liaoning Province, followed by Jilin Province and Heilongjiang Province.In 2020, the population of over 65 years old will reach 16.48% in Northeast China, indicating a stage of aged society; the proportion will further rise to 21.78% in 2025, which is the stage of super-aged society. Compared with some European countries, Chinas aging is coming faster and more sudden. 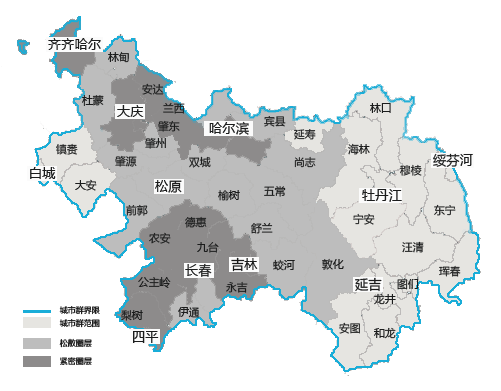 In 15 years, Northeast China will cover the aging population road of Japan which took it 22 years. How to face the situation of aging before getting rich will be one of our important challenges. City contraction: The aging and low fertility rate will cause urban population of some cities to decrease instead of increase. In making the planning, we should get rid of the inertial mentality of the mainstream population forecast of infinite population growth and plan for the “city contraction” as a result of population decrease in 20 years later. Social service facilities for the aged: apartments for the elderly, and other old-age facilities. Opportunities of an aging society: Health care, sports, health protection, pharmaceutical, and other related industries. Question 2: Is Changchun really a city of science and education? Compared with other central cities in Northeast China, our advantages in science and education are not so obvious. For instance, the high-quality personnel proportion in Changchun is lower than average of the 15 sub-provincial cities.According to the 6th census data, the number of university graduates out of every 100000 people was 16268 in Changchun, ranking 3rd among the four central cities in Northeast China and 12th among the 15 sub-provincial cities in China, which was below the average level (18,530). What is more, in terms of the growth speed of the numbers of university graduates out of every 100000 people from the 5th census and the 6th census, Changchun was lower than the national average. In Northeast China, the number of colleges and universities in Changchun is smaller than that of Harbin and Shenyang, and so is the number of high-quality talents. In terms of diffusion and commercialization of scientific research capabilities, Changchun is relatively weak in comparison with the other central cities in Northeast China. The S & T network: It reflects the spatial distribution features of R & D activities in the high value-added sectors of the industrial value chain and the degrees of the linkage based on R & D activities initiated in cities.Technical methods: Consultations of the HowNet about collaboration times of academic paper publications through pairing of prefectural level cities of Northeast China generated a total of 119,336 valid data and the science and technology networking degree was determined in terms of space.Changchuns science & technology diffusion capacity is the weakest among the three provincial capitals. Its overall capacity of R&D is not dominant, while it has some competitive edge in and industries of local automobiles, biomedicine and optoelectronics. Question 3: Jilin Province has greater grain production and arable land than Liaoning Province, but why was its total output value of the primary industry CNY 171.4 billion less than that of Liaoning Province in 2012? 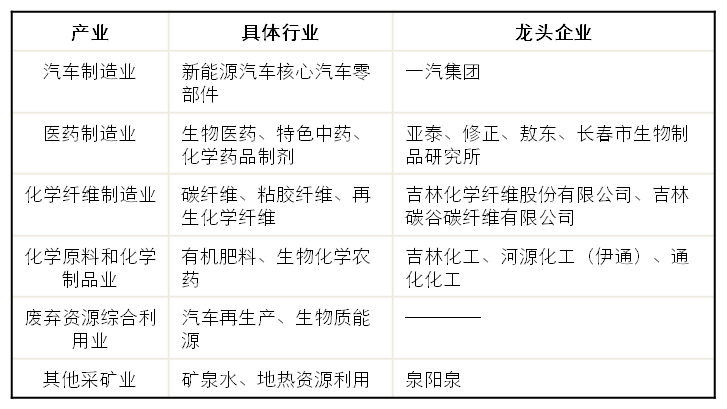 Liaoning Province has a rather sound internal system of the primary industry. The internal development is quite balanced in Liaoning Province’s primary industry. In 2012, Liaoning Province achieved CNY 38.3 billion more in agricultural output value, CNY 49.1 billion more in animal husbandry output value and CNY 57.7 billion more in aquaculture output value than Jilin Province in the three sectors, and the output value of its service sector, including agricultural machinery service and outline service, was CNY 23.5 billion more than that of Jilin Province. Liaoning Province accounts for a large proportion in economic crops. In additional to its bounty of fruits, it has significant output of aquatic products, thanks to its coastal geo-location. In 2012, Liaoning Province’s fruit output was 6.33 million tons, which was far more than that of Jilin province by 0.6 million tons. Liaoning Province’s fruits are mainly apples and pears with considerable benefits. In addition, Liaoning Province’s sericulture industry is developed. Its annual outputs of tussah and silkworm are 50,856 tons and 107 tons respectively. Question 4: Both as old industrial bases in tradition, what are the gaps and different between Liaoning Province and Jilin Province? 1. Liaoning Province has a more complete and balanced industrial system, while Jilin Province has the potential to become a regional center in some industrial sectors. The industrial balance index of Liaoning Province is 5.6, and that of Jilin Province is 18.4. Smaller deviation from the index indicates higher degree of industrial self-sufficiency and more complete industrial system. 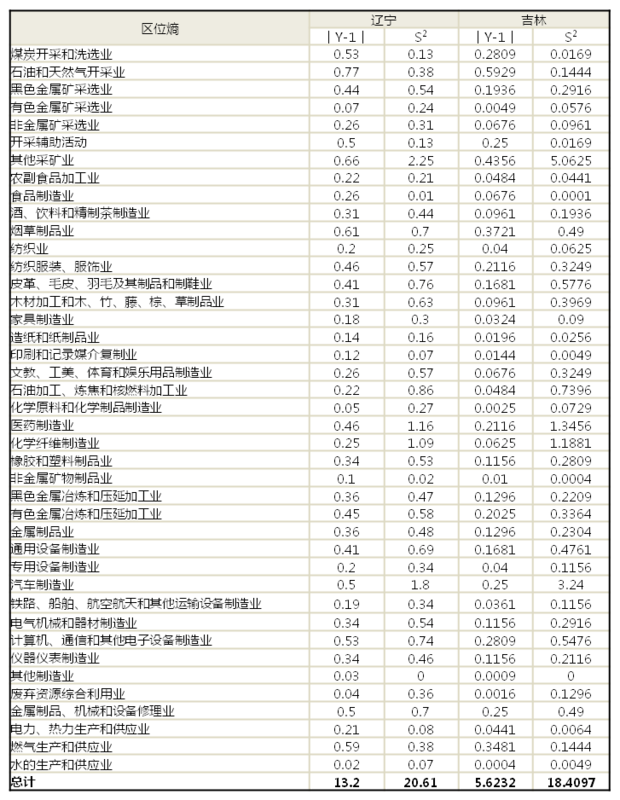 Bigger deviation from the index indicates higher specialization degree and stronger external service capacity. In combination with Jilin Province’s relevant industrial location entropy, we can conclude that Jilin Province has strong external service capacities in the automobile manufacturing industry, the mining industry, the pharmaceutical manufacturing industry and the chemical fiber manufacturing industry have strong external service capabilities and have the potential to become leading industries in Jilin Province in the region. 2. 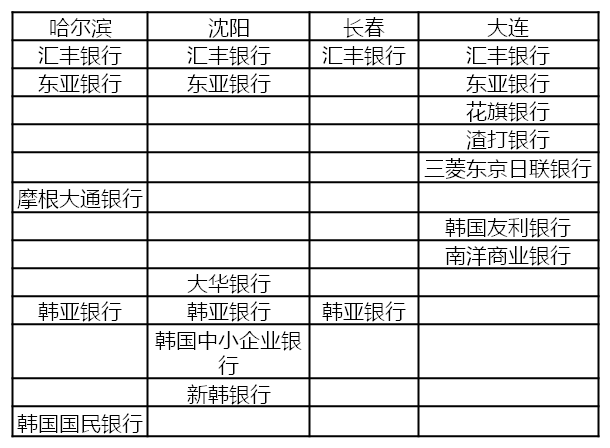 Compared with Jilin Province, Liaoning Province has more complete industrial chains of the leading industries; it has closer connections between industrial upstream and downstream; it has greater product varieties. As the leading industry in both Jilin Province and Liaoning Province, the equipment manufacturing industry accounts for over 30% of the total industrial output value in both provinces. Liaoning Province has a rich variety of equipment manufacturing products. In addition to CNC machine tools (output ranking 1st in China) and metal-cutting machine tools (output ranking 3rd in China, accounting for 13.5% of China’s total output in the industry), Jilin Province is quite developed in shipbuilding, bearings and automotive manufacturing. In 2013, there were two industrial clusters above CNY 100 billion and 31 above CNY 10 billion in the equipment manufacturing industry of Liaoning Province. Jilin Province’s equipment manufacturing industry chain is not complete. Its product types are single and few, relying more on automobile manufacturing. In addition, its automobile industry supporting rate is not high. In 2011, Jilin Province’s auto parts supporting rate was merely 38%. In 2012, the total amount of imported automobiles and parts was over US$ 10 billion in Jilin Province, accounting for about 1/9 of the total output value of its automobile industry. Question 5: In its future development, how can Jilin Province enhance advantages and avoid disadvantages and hold on to its own position by means of differentiated development with Liaoning Province? 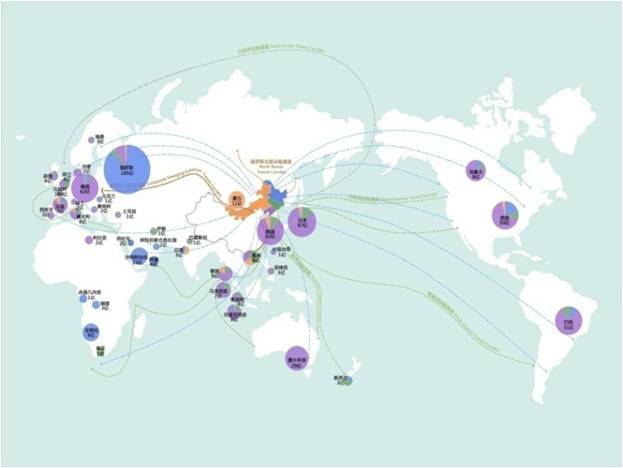 According to the location entropy in Northeast China, Jilin Province should select the industries with higher location entropy in it and lower regional entropy in the other two provinces as the focus of its future industrial development. By judging and screening, the mining, chemical raw materials and chemical products, pharmaceutical manufacturing, chemical fiber manufacturing, automobile manufacturing, and waste resource comprehensive utilization industries should be selected as focuses of industrial development in Jilin Province in the future. of industrial development in Jilin Province, we have comprehensively determined the integrated guidelines for potential development of Jilin Province. Question 6: Does Changchun’s current service capacity match its positioning as a regional central city? 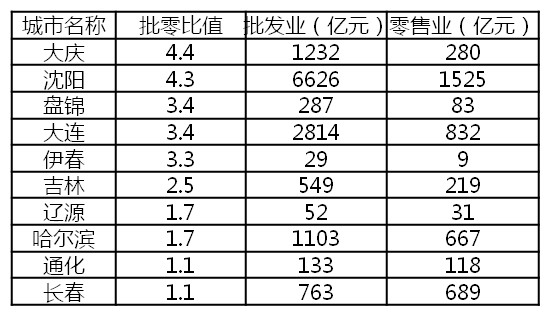 Currently, Changchun’s logistics capacity and business/trade service have great space for improvement.Logistics capacity: The wholesale/retail ratio reflects a city’s service capacity (wholesale/retail ratio = wholesale amount/retail amount). 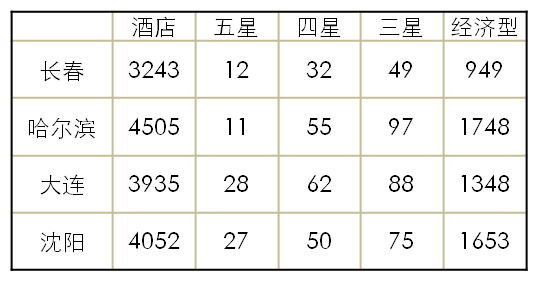 Now the wholesale/retail ratio is 1~3 for most of big cities in Northeast China, but Changchun’s is only 1.1. According to the experience of developed countries and regions, the wholesale/retail ratio should be over 7:1 if any city is to be rated as one with high service capacities. The wholesale/retail ratio of Changchun is lower than that of Shenyang, Dalian, Harbin and other central cities, and it is even lower than that of Jilin City, Liaoyuan and other cities within the Province.Changchun’s main problem lies in its excessively low wholesale industry output. Its amount of retails is less than that of Shenyang and Dalian, ranking 3rd in Northeast China, three times as much as that of Jilin City. It reflects from another aspect that Changchun is rather weak in its regional service capacity. Currently, Changchun has a large space of improvement for its logistics capacity and business/trade service. Service capability: The number of star-level hotels, to a certain extent, reflects a region’s business/trade service capabilities. Changchun ranks the last in the number of hotels among the four cities. Question 7: Is Changchun’s financial service development strong enough to support an international central city in Northeast Asia? 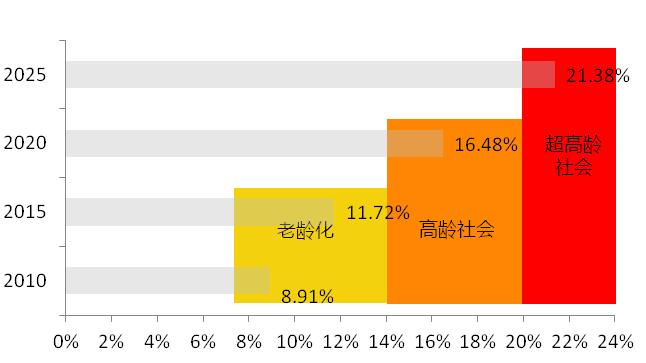 Currently, Changchun’s financial output value amounts to 1/2 of Shenyang, 1/3 of Dalian, 1/5 of Chengdu and 1/14 of Shenzhen. In number of foreign-funded banks, Changchun has only HSBC and Hana, far behind Shenyang, Dalian and Harbin. Question 8: What is Jilin Province’s circle of partners in foreign economic and trade? What is Jilin Province’s relation with the countries of Northeast Asia? Jilin Province has rather frequent trade with Germany, Japan and the United States, but its trade amount with other Northeast Asian countries is on the low side, accounting for only 17.29% of the amount of Jilin Province’s imports & exports. However, its relation with Germany is rather close due to the automotive industry, with an amount accounting for 85% of that of Northeast China. Heilongjiang Province is a major player in trade and resources and energy trade with Russia; Liaoning Province has close trade relations with Japan, the United States, the ROK and Germany, and it has some trade with Russia as well. Question 9: What is the hinterland that Changchun can contend for? In both Jilin and Heilongjiang Provinces, only Harbin, Changchun, and Daqing at a high level of center are competitive, and the other cities are basically at the same level. Through on the gravitational models with Harbin and Changchun as the center cities, we carried out two calculation based on the integrated spatial distance and the time distance and determined the current status quo and development ranges of the Harbin-Changchun city cluster in a comprehensive manner. Through the comparison between the two ranges, it can be concluded that the middle and narrow stripes between the two tightly circled rings of the Harbin-Changchun city cluster should be the hinterland area Changchun should contend for, and the hinterland area includes Yushu, Shuangcheng, Fuyu and so on. 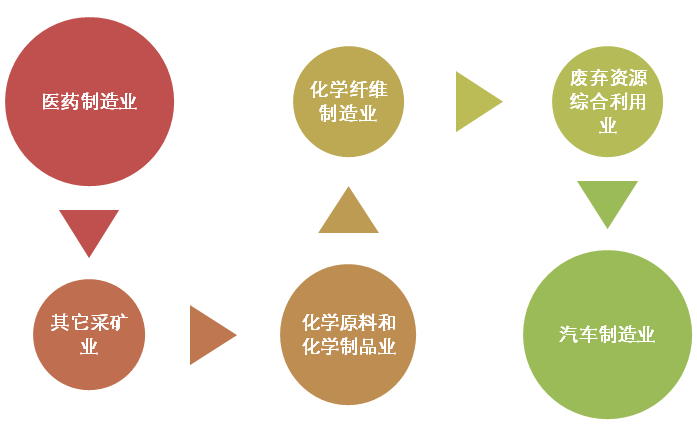 Question 10: What is Changchun’s internationalization degree? As of the end of 2012, Changchun’s FDI was about USD 900 million, which is about 1/7 of that of Shenyang and less than Shenyang in 2000, and even less than that of Harbin, Panjin, Anshan, Yingkou, Dandong, Jinzhou, and other cities. Question 11: What is Changchun’s position in the regional urban system? 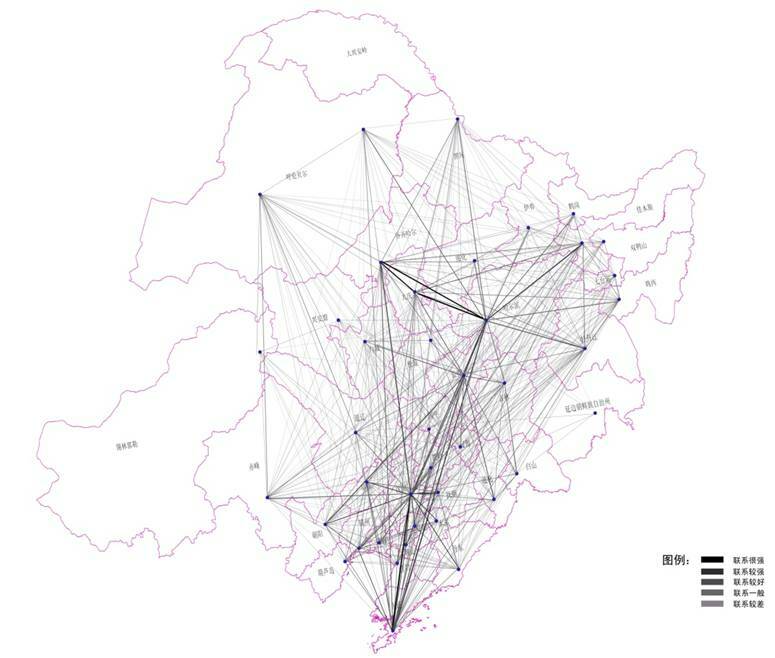 The status of Changchun in the regional urban system is determined by means of the most advanced regional research method – urban corporate network analysis method. We deliberated contact degree of inter-city enterprises through the "company - subsidiary" method and then further determined the degree of urban connectivity. From the 810,000 data on enterprises in the three Northeast China provinces, we conclude that Changchun has only established close connectivity with nearby cities such as Jilin and Siping. Its influence is limited to the provincial level. Compared with Shenyang, Changchun still has rather big potential as a central city with the window linkage, which should be further strengthened. The influence of Shenyang has gradually spread to other provinces. The connectivity between Changchun and Shenyang is better than that between Changchun and secondary cities within the province.